We are best service provider in Dubai. We have begun to provide the highest quality of services like maid services, electrician services and painting available in the industry. We understand our customers need and make it sure that need is fulfilled consistently.The expertise and professionalism of MAID.AE led to our business in first class reputation for our excellence services. Life is becoming fast and tough. Here are lots of Responsibilities and priorities and at the same time there are so many things to consider. It’s very hard to find time for the people and activities you love. So let it leaves to us to look after your home and help you to manage your unmanageable works. You may contact to us for any services available on our site and can also choose the timings which are suitable to you. We are providing our services daily, weekly, monthly and also providing one-time full cleaning work as well. Our work timing is 8 am to 6 pm from Saturday to Thursday. 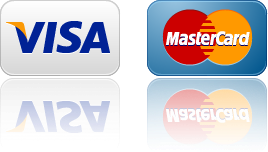 We accept payments only in cash or cheque and as for as concerned our fee, its 40 DHS on hourly basis. We are very punctual and honest to our work and always reach on time; we have not any transportation problem because company has its own transport for its employees. www.maid.ae will NOT deal or provide any services or products to any of OFAC sanctions countries in accordance with the law of UAE.